Before :- H.R. Khanna and A. Alagiriswami, JJ. Criminal Appeal No. 49 of 1970. D/d. 6.9.1973. H.R. Khanna, J. 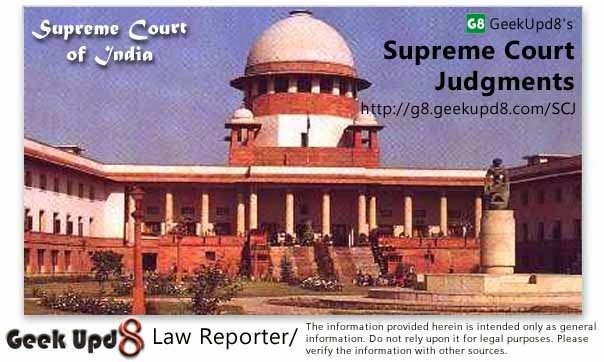 - This appeal by special leave has been filed by Hari Prasad Chamaria against the judgment of Patna High Court whereby the High Court accepted petition under Section 561 A of the Code of Criminal Procedure filed by the two respondents and quashed the proceedings which were pending against them in the trial court. 3. The complaint came up for hearing before the Subdivisional Magistrate Samastipur and on August 6, 1968 he took cognizance of the offence under Section 420 Indian Penal Code. It was directed that the process should issue against the respondents. The respondents thereafter approached the High Court under Section 561A of the Code of Criminal Procedure. The High Court was of the view that the case of the appellant was based upon contract. Mere breach of contract, in the opinion of the High Court, could not give rise to criminal prosecution. The appellant, it was further observed, had a remedy in the Civil Court and he could not be allowed to fight the matter in Criminal Court. In the result the criminal proceedings against the respondents were quashed. 4. We have heard Mr. Maheshwari on behalf of the appellant and are of the opinion that no case has been made out against the respondents under Section 420 Indian Penal Code. For the purpose of the present appeal, we would assume that the various allegations of fact which have been made in the complaint by the appellant are correct. Even after making that allowance, we find that the complaint does not disclose the commission of any offence on the part of the respondents under Section 420 Indian Penal Code. There is nothing in the complaint to show that the respondents had dishonest or fraudulent intention at the time the appellant parted with Rs. 35,000. There is also nothing to indicate that the respondents induced the appellant to pay them Rs. 35,000 by deceiving him. It is further not the case of the appellant that a representation was made by the respondents to him at or before the time he paid the money to them and that at the time the representation was made the respondents knew the same to be false. The fact that the respondents subsequently did not abide by their commitment that they would show the appellant to be the proprietor of Drang Transport Corporation and would also render accounts to him in the month of December might create civil liability for them, but this fact would not be sufficient to fasten criminal liability on the respondents for the offence of cheating. 5. In our opinion, there is no merit in the appeal, which fails and is dismissed.